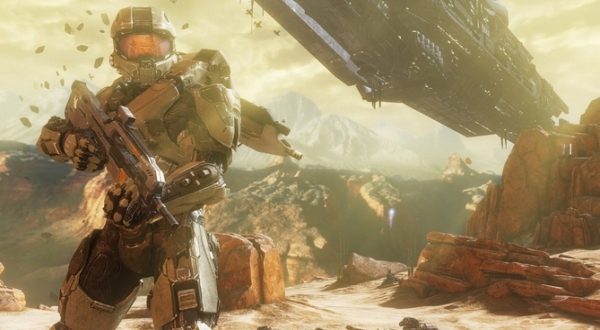 Halo: The Master Chief Collection is due for release on the Xbox One on November 11th. Some people might be wondering what the big deal is and why they would be excited to play some decade-old (and older) games on their brand spanking new Xbox One? Well, I'm here to tell you that there's plenty of reasons to want to dive back into the Halo titles and it's not just because of the new-gen graphics and frame-rates... well, technically it does have to do with the new-gen graphics and frame-rates; but that's only part of it. The prettiness of the game also follows behind some of the series' well-respected design mechanics and replayability. So here are the five main reasons why Halo's older titles that are stuffed in Halo: The Master Chief Collection are worth replaying on today's new generation Xbox console. I made the mistake of trading in Halo: Combat Evolved while keeping Halo 2. It was a pretty big mistake because of the simple fact that the original Halo has one of the very best FPS single-player campaigns ever created. It's not that it has a great story (because it really doesn't) or that the characterizations are impeccably amazing (because they really aren't) or that the game is really long (because it's not), it's that the campaign is fun. 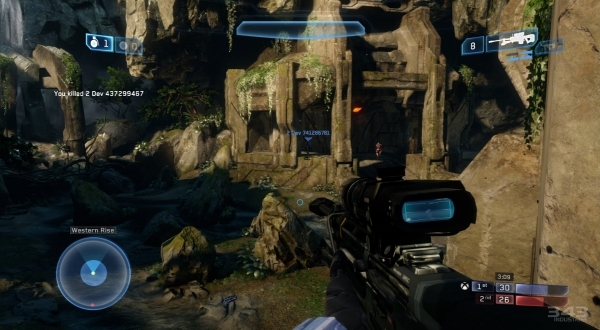 Bungie originally described the first Halo's campaign as being able to hook people with 30-second bursts of repeatable fun. It actually worked. 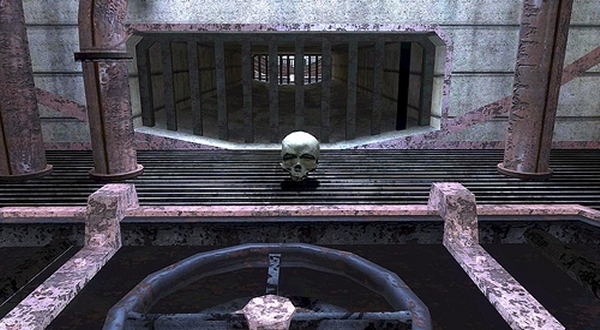 There were some annoyingly hard levels like The Library or Guilty Spark, but the game was oh-so-replayable because of the somewhat open level designs and the ability to kind of goof-off and explore the non-corridor levels. It was brilliant back then and it's still brilliant today. As I mentioned, I made the mistake of trading in the first Halo, even though I truly, deeply loved the game's campaign mode. Well, Halo 2's more linear level structure and less-memorable stage designs from the story-rich campaign mode were compensated for with a really awesome multiplayer component. It was easy to jump into games; win some matches, lose some matches and a have blast with a far more extended cache of multiplayer maps that supported vehicles. 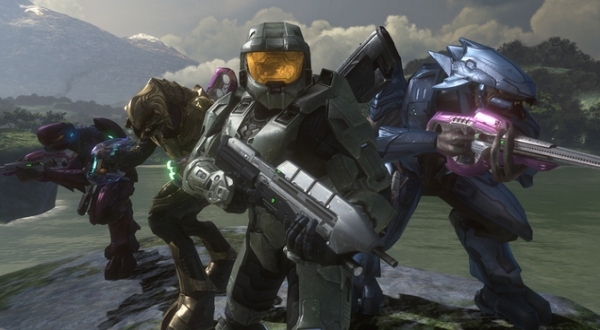 Back in the day Halo 2 was the go-to game for online multiplayer on the Xbox (alongside Mech Assault) because there was equal amounts of unpredictability alongside all the skill-based gun-play and vehicular mayhem that Bungie cooked up in the sequel. While Halo 2's multiplayer finally gets to be experienced by today's youth generation, they'll also get to experience all of the game's cinematic sequences remade and redone via the powerhouse cinematic studio, Blur. If you were too young to remember the first Halo or you just weren't into console gaming at the time, it's a nice opportunity for Microsoft to bring back the classics for today's gaming market. All you need to do is plop the disc in, download 20GB worth of day-one patches and play the game. The highlight is that the cooperative modes are back and support offline local co-op and online co-op. Even if someone feels the campaign modes are dated, being able to play them with friends with today's consoles and technology is a huge epic win, especially considering that local co-op and proper campaign co-op in many games seem to be rare these days. 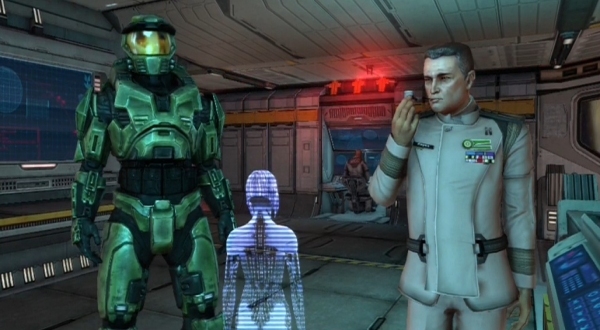 Speaking of co-op campaigns being rare... one of the highlights of Halo's co-op modes was that it never took anything away from the story, so it wasn't like the second player prevented the story from properly unfolding like in some games (I'm looking at you Serious Sam 2). The classic co-op campaigns in full HD at proper frame-rates is a glorious thing. That's not to mention that you get to experience some co-op action that spans four whole games. So even if you beat all four of the included Halo titles previously released on the OG Xbox and Xbox 360, there's still a matter of tackling all the brand new achievements that 343 Industries bundled into Bungie's classic series of sci-fi first-person shooters. I've never really been into achievements and quite frankly I've been gaming long enough without them not to care one iota. However, today's generation of gamer loves achievements and there's a perfect opportunity with the Halo: Master Chief Collection to explore and expand on your knowledge and engagement with the four Halo titles starring Master Chief to earn and unlock some of those hard-to-earn achievements. 343 Industries even have plans to add more achievements post-launch. So there's even more added replay value. “But specs don't matter!” then why are you always in those thousand-degree N4G articles about the console war specs? Yeah, don't lie. You know you love that crap. Why? Because it does matter. No one likes looking at jaggy-edged lines and fuzzy faces in their games. They want clean, anti-aliasing and smooth-as-a-Maserati curves without any of those visible steps. 343 Industries is making that happen. You can look for the game to launch on the Xbox One on November 11th. Need to learn more? Feel free to visit the official website.